Devon Porpora is a Senior Managing Director and Portfolio Manager at First Republic Investment Management. He joined First Republic Investment Management in 1999 as a Technology Analyst before transitioning to his current role. Before joining First Republic, Mr. Porpora worked as a Floor Trader on the New York Stock Exchange. His career in investment banking began in Hong Kong. He has been a guest on CNBC Europe and CNN Asia. 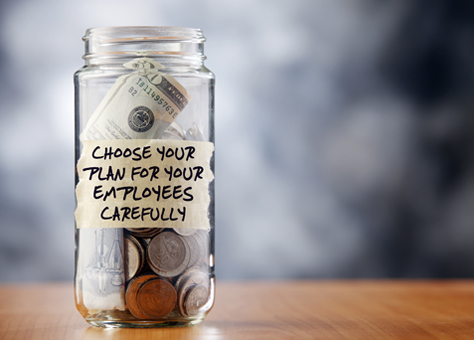 Three things to consider when selecting a retirement plan for your employees. The United States is facing a retirement crisis. The average American does a poor job of investing for retirement,1 and a large share of the fault lies with employers that offer their workers subpar retirement plans. These plans come with high fees, limited investment selection and minimal financial education. Even the most responsible investors can be sidetracked by a substandard 401(k) plan chosen by their employer. The hard truth is that many Americans are going to have to work longer because their hard-earned dollars are being eaten by high fees and poor performance of their employer’s retirement plan. A plan’s design can be one of the major detractors from long-term performance. Traditionally, most 401(k) plans have been “bundled,” meaning one vendor provides all the investment, recordkeeping and financial education services. All investments in a bundled plan are generally from the same company or family of mutual funds. That can greatly hurt a 401(k) plan’s performance, as recent Morningstar data shows that the 27 highest-rated funds are spread across 15 different fund families.2 In other words, a bundled plan greatly limits an employer’s ability to select the best-performing funds. A growing number of today’s 401(k) providers offer unbundled plans, which give an employer and their retirement plan advisors maximum control and the ability to cherry-pick the best service providers and investment options. Increasing flexibility and choice leads to better performance. Fees eat directly into investors’ returns. That is why it is so important to make sure costs are transparent and minimal. Many fees, such as sales commissions, are buried within the mutual fund’s annual expenses. It’s still not that unusual, for example, to see 401(k) plans with fees in the range of 3% per year. Organizations should make sure their 401(k) provider’s fees and those charged by each fund company or other investment firm are transparent and easy to justify. Strong participant education is one of the most important attributes of a successful plan. It’s become abundantly clear that today’s 401(k)-eligible employees need more investing education and better financial-planning tools related to their savings plan. Organizations should consider what types of educational services a 401(k) plan provider offers its participants. Providing employees with one-on-one financial-planning meetings with a professional, for example, can make them feel more confident in their investing and help ensure they build a well-diversified portfolio that's suited to their goals and risk tolerance. The differences between an effective 401(k) plan and a poor-performing one are enormous—and significantly affect working Americans’ ability to save for retirement. Organizations have more 401(k) plan options today than ever before. There is no excuse to be paying high fees or offering investment choices from a single fund family. By doing some comparative research and learning more about a provider’s services, investment options and fees, organizations can help their employees do a better job of saving for retirement.